Vibrating tables are used for testing resistance to vibration. Testing becomes even more complex if the behavior is to be examined with predefined motion such as vibrations of a vehicle or airplane at certain velocities. 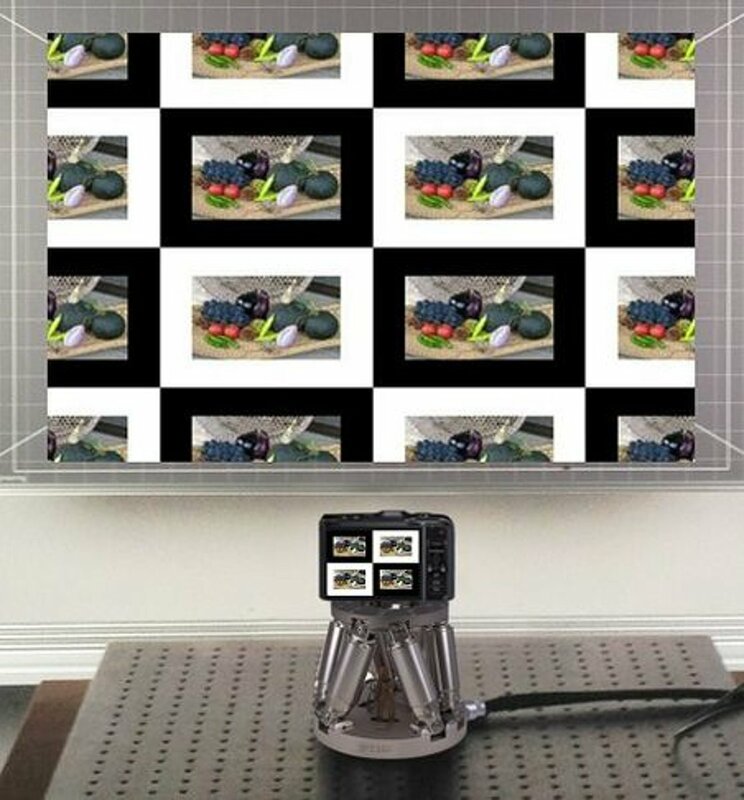 Further typical examples include devices in acceleration or gyroscopic sensors such as those used in smartphones, cell phones, and cameras that detect changes in position, e.g., in cameras for detecting any trembling motion of the photographer. 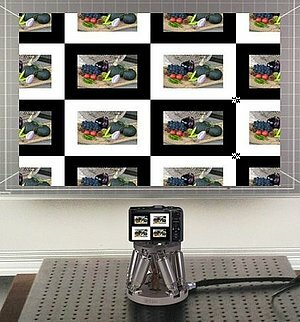 The image stabilization system can then compensate automatically. Its algorithms and mechanical system also have to be checked. To test image stabilization systems, technical standards are established by the CIPA (Camera and Imaging Product Association), an international alliance of camera manufacturers similar to an ISO committee. 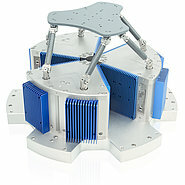 It has released DC-011-2015 as the new standard for motion simulation test conditions. Of course, simulation for test purposes requires natural and artificial motion to be precise, repeatable, and simulated with the same dynamics and accuracy. This involves running high-precision trajectories with the corresponding dynamics. Therefore, multi-axis, precise, and dynamic positioning systems are necessary. 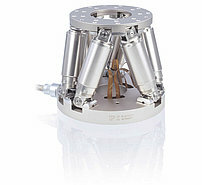 Thanks to their parallel kinematic design, there are a number of reasons why hexapods are definitely one step ahead. They allow precise and exact repeatable motion on all linear and rotatory axes. Their advantages compared with serial, i.e. stacked systems, are that they have much better path accuracy, repeatability, and flatness. In addition, the moved mass is lower, enabling better dynamic performance, which is the same for all motion axes. Moreover, cable management is no longer an issue, because cables are not moved, and, last but not least, the system features a much more compact design. 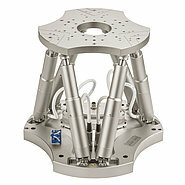 PI offers hexapod systems for highly dynamic simulation of predefined motion that are certified by the CIPA for use in image stabilization systems. Various different drive types are possible for highly dynamic simulation of predefined motion. Hexapods with electromagnetic, brushless torque motors and the appropriate mechanical design of the drivetrain and sensor technology for example, already achieve velocities up to 25 mm/s and accelerations of up to 2 g.
The best dynamic performance is reached by hexapods with magnetic PIMag® direct drives; currently, velocities of several hundred mm/s and accelerations up to 4 g are possible. The special design which includes flexure joints completely dispenses with rolling or frictional elements, thus allowing a zero-backlash motion without mechanical noise. Therefore, undesired frequency interference from the mechanical system of the hexapod does not influence the measurement. Automatic text cycles during motion simulation with high frequencies can be realized with high acceleration and velocity. At the same time, precise following of specified trajectories is possible.